The Eskell Mia dress at Thistle & Clover. INDIE DEAL: Starting today, the stylish curators of up-and-coming design at Fort Greene’s Thistle & Clover are serving up some midseason discounts on choice covetables as part of their fall sale. 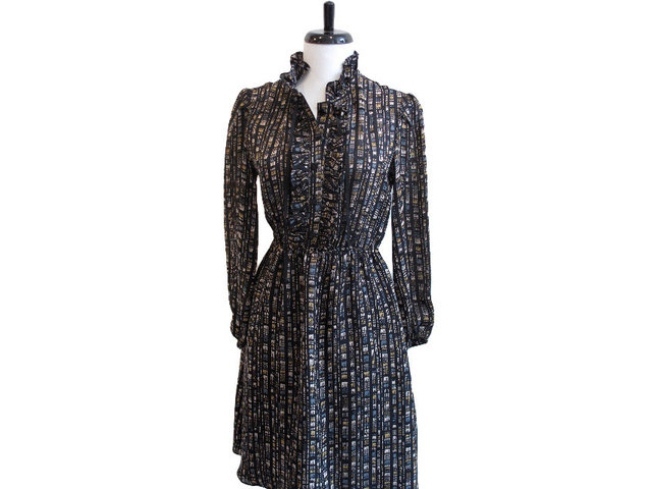 Consider: The silk Eskell Mia dress (pictured) was $254, and is now $190.50. Other labels getting the 30%-off treatment include Wren, Sunner, and Sublet. 221 DeKalb Avenue; 718-855-5577. FLEECED NO MORE: The gorgeous Black Fleece label from Brooks Brothers is about to get a lot more affordable: From October 29 through 31, take up to 80% off womenswear items, bringing coats down to $499 from as high as $5500 and luscious cashmere sweaters to $99 (dropped from upwards of $400). Lighthouse International, 111 East 59th Street. TWOFER: A trip to the salon always makes us feel good about ourselves. And so does a good cocktail. At tonight’s InStyle/ Sebastian Professional event, you can have both: Stylists will be on hand to create complimentary coifs while you avail yourself of libations and hors d’oeuvres. 6-8PM; Mark Garrison, 108 East 60th Street; 212-400-8000.